Palm Beach State College leaders are aiming to raise the volume of the school’s spirit with the launch next year of a new drumline. The Palm Beach State College Drumline will bring high energy and high quality performances to College sporting events and commencement ceremonies as well as community events and local schools. “These groups are at the forefront of most colleges and universities, and we want to bring that same recognition, excitement and entertainment to Palm Beach State,” said Eric Levy, the group’s newly appointed director. 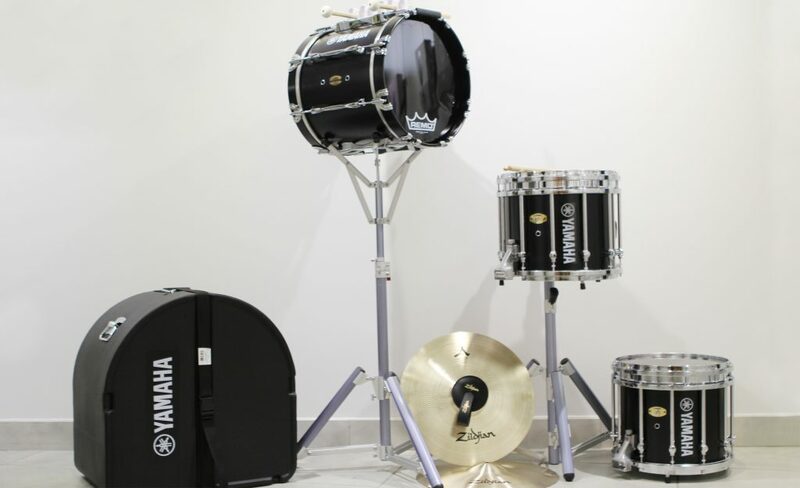 Initially, the drumline, which will include snare, bass and tenor drums as well as cymbals, will be comprised of eight to 20 students with plans to add more members and instrumentation in the future. Auditions will be held Jan. 26-27 for the inaugural group. In the meantime, interested students can visit the drumline’s website at www.palmbeachstate.edu/Drumline. Students can also go to the Humanities building, room 202, on the Lake Worth campus through Jan. 5 to complete a registration form and take home an information packet to prepare for the auditions. The official drumline group will be formed in January. However, to give the PBSC community a preview of what the drumline will sound like, a pre-audition performance will be held at the morning and afternoon commencement ceremonies Dec. 20. With the support of the Humanities Department and PBSC administration, the school has already invested in more than $25,000 worth of equipment. The drumline is currently open to all students, and while previous experience is preferred, it is not a requirement for some of the spots available. For those who are interested in auditioning, training sessions will be held from 5 to 7:30 p.m. Jan. 10, 12, 17, 19 and 24. At the sessions, students will learn techniques, concepts and basic methods, as well as what to expect at auditions. Levy said these sessions will be a great way for both experienced and inexperienced drummers to learn more about how drumlines work and get prepared for auditions. Over the coming weeks, more information about the group, director and auditions will be released online. With a multi-year plan in place, the College is looking to grow the Palm Beach State Drumline each year and ultimately to see the group play on a national level. Levy has taught drums throughout the Southeastern Region and won various local and state awards and championship titles throughout the past 10+ years. Along with competitive achievements, he has designed and run musical groups for several professional sports teams and also performed and taught groups for various festivals, TV commercials and other events. He participated in Super Bowl XLIV, performed at the Nike All-Star Games on two occasions, and presented a seminar on the health benefits of a marching percussion at the National Association of Music Merchants. Internationally, he is an in-demand percussion clinician who currently teaches throughout Southern Asia. Most recently, he co-authored a new five-part series of percussion method books that will be published next month.